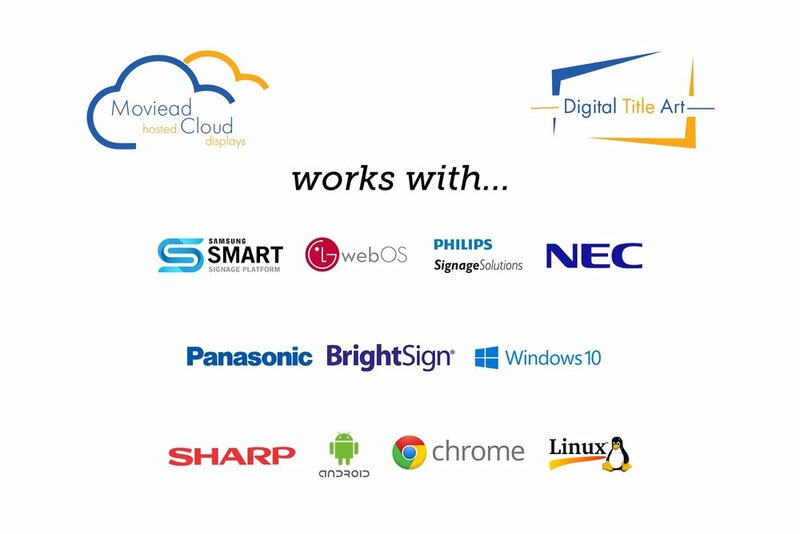 Maximize Revenue Cloud Based Digital Signage for Remote Management and Control. Add more screens and content without crashes or data bottlenecks. Quickly serve up hundreds of options….from simple static slideshows on a single screen to streaming HD video to hundreds screens. Compared with an on-premise management system that requires extensive back-end to support scaling, Moviead’s cloud-based signage platform will significantly reduce the costs of scaling by eliminating the need of adding more servers to each new sign and location. Moviead will install signage preloaded with the required software and hardware so that all you need to do is connect to the internet. The amount of time needed to implement is minimal compared to setting up servers and cabling. Deliver dynamic content to free employees to focus on managing operations. Manage Users: Users have their own account and can have different levels of permissions. Manage highly defined permissions to different users to make changes to the content for a certain number of locations or screens and in a variety of ways. This helps maintain central control of content at a company-wide level, allowing a high degree of brand control and consistency. Security: Moviead maintain higher levels of security than a company’s network can. We stream using HTTPS, encrypting both the uplink and the downlink. Data is encrypted and protected. Moviead: The Theater Owner’s Trusted Partner. Moviead is dedicated to helping theater owners and management utilize the platform with ease and confidence.